They have a great deal over at Attractiontix whereby you can get your hands on a choice of passes from just £45 each for adults and £32.50 for children. 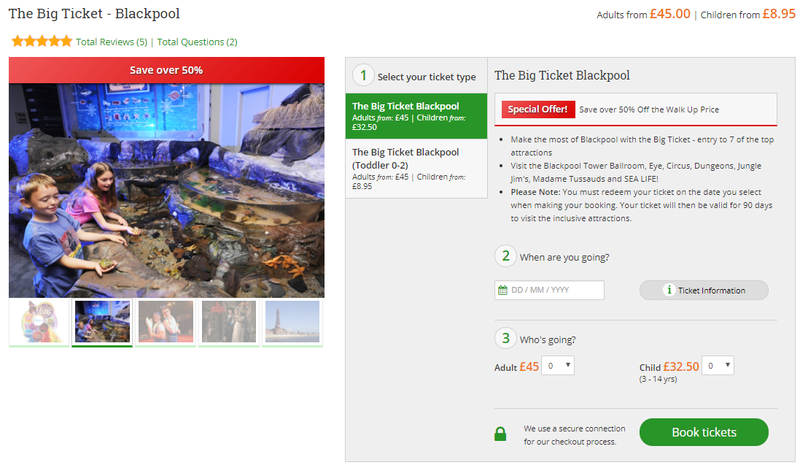 Make sure you don’t miss ANY of Blackpool’s biggest attractions – get The Big Ticket! 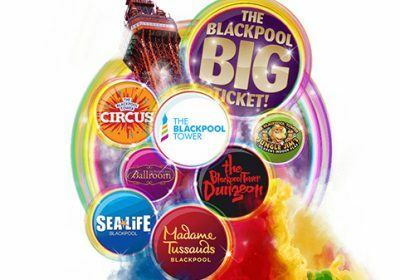 From the heights of The Blackpool Tower Eye with its awe-inspiring SkyWalk, to the depths of the Tower Dungeon, you’ll be amazed at what’s new in the resort. Visit The Blackpool Tower Circus, where all-time favourites Mooky the Clown and Mr Boo are still making their audiences roll on the floor with laughter. Take a whirl in the spectacular Ballroom and let the kids go wild at Jungle Jim’s Children’s Indoor Play! Mingle with the stars and get up-close to Britain’s best-loved celebrities at Madame Tussauds Blackpool. With figures including Lady Gaga, Alan Carr and some the cast of Corrie, who knows who you might meet? Dive in to the underwater world of SEA LIFE Blackpool, home to one of the largest collections of tropical sharks in Europe. SEA LIFE takes you on a journey from the coastline and sandy shallows to the very depths of the ocean. With The Big Ticket, you can visit each of these fantastic attractions once over a period of 90 days.